One of the biggest concerns for Arsenal fans this summer is bound to be the future of star striker and captain Robin Van Persie. 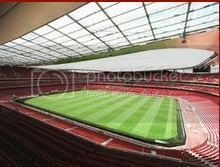 Speculation is rife that he could be on his way out of the Emirates, something the club can ill afford to do. This is the view of former Gunners captain Patrick Vieira who believes that losing Van Persie – who will be involved in Holland euro 2012 betting odds - would be much more significant than the loss of Cesc Fabregas and Samir Nasri next summer. 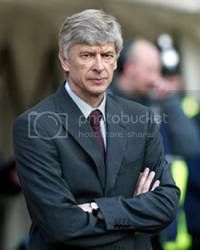 He said: “Losing Samir Nasri and Cesc Fabregas last year was a big shock for Arsenal. If they lose Robin Van Persie this year it will be a drama.” “With Samir and Cesc you can say 'okay those two are gone', but behind you know that there is Jack Wilshere and Van Persie still at the club - but if Robin comes to leave, that means next year it may be Theo Walcott, then the next year is it going to be Wilshere?” “It is going to be difficult for Arsenal to keep the top players.” "On the other side if they keep Robin they are going to send a positive message to all the clubs and to all the people around and I think it's really important to keep him.” One of the biggest problems for Arsenal of course has been the lack of silverware. They haven’t won a trophy since the FA Cup in 2005, making Van Persie think twice about where his future lies. Vieira continued: “Robin wants to win trophies. Arsenal have to show him he can do it with Arsenal.” "The best way for them to get him to sign a contract is to bring players to the club who can show him that the club are in the same line as him.” "It is really important because we know how Robin loves Arsenal - that is not the question, the question is how Arsene Wenger will convince Robin they can win trophies.” Van Persie held talks with Arsenal this week of course, but nothing has been mentioned since and presumably nothing was concluded. A decision will perhaps be made after Euro 2012. What will Van Persie do? Arsenal's Robin van Persie has a great deal to ponder ahead of the European Championships this summer, with self-imposed deadline for sorting out his future with the North London club imminent. But might this scenario leave the Dutch talisman in a position where he can't fully concentrate on the Euros, despite the Dutch side attempting to go one step further than their exploits at the 2010 World Cup, where they ended up losing to Spain in the final? If Van Persie decides that his future does lie with Arsenal, then surely all of the speculation in the media will come to an end sooner rather than later, allowing the main man for the Gunners to be able to focus 100% on what should be an exciting Championship for him on a personal and professional level. If, however, the Dutchman decides that his future lies away from the Emirates stadium, he will in all likelihood be left in a state of unwanted turmoil as he bids to re-settle his entire family while also trying to make a big impression with the supporters of whichever team he picks to move to next. That said, perhaps the worst scenario for the player on a personal level would be if the club refuse to sell him, a situation that would leave Van Persie not only in a state of turmoil and uncertainty but also full of anger and frustration at his lack of control with regards to his future, at an age where any move would no doubt be his last before retirement. Whatever happens, we will at least be able to find out how Van Persie acts this summer when placed under real pressure. London club, Arsenal, could soon be welcoming Rennes midfielder, Yann M’Vila, to the Emirates Stadium. The Gunners are reportedly in “advanced negotiations”, to quote the Telegraph, with the 21-year-old. The news comes just a few days after Arsene Wenger confirmed the signing of German striker, Lukas Podolski, from Bundesliga outfit, FC Koln. The Gunners are believed to have paid £11m for the former Bayern Munich player. M’Vila will become the most expensive player to have ever graced the grass at Arsenal, when he joins the club at the end of the season; the Premier League outfit forked out an estimated £17.7m for the 26-year-old. Get great odds on Premier League at www.betvictor.com. Previously, Andrei Arshavin was the Gunners’ biggest outlay, costing £15m in 2009. The Russian is currently on loan at his first club, Zenit St. Petersburg, a move that some fans will consider long overdue. M’Vili, a French international, was linked with a move to the Emirates back in 2011. However, Wenger’s advances were snubbed by Rennes, who wanted to keep the 107-cap holding midfielder in France for another season. Arsenal are desperate to install a defensively minded player in the centre of the park, to support (and provide cover for) Alex Song. Francis Coquelin and Emmanuel Frimpong, other potential candidates for the holding role in Arsenal’s ranks, are too inexperienced. Javi Martinez, of Athletic Bilbao, was another of Wenger’s targets for winter transfer window. The player impressed during Los Leones' most recent Europa League campaign, featuring in the two matches against Manchester United. The signing of M’Vila and Podolski will no doubt come as a relief to long-suffering fans of the Gunners, who have watched their club flounder behind the likes of Manchester United and Chelsea, in recent seasons.Voice your opinion on Arsenal's future; bet on football through Bet Victor. 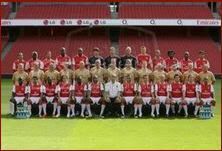 Whether Dutch talisman, Robin van Persie, will be around long enough to play alongside Arsenal’s new boys remains to be seen.